Our factory-trained technicians install superior components, with the most recent technology and innovative design. As an authorized Horton and AEV dealer, PSS operates a certified service centers in Utah and Arizona. Our Service Center is a fully-equipped facility, offering services in: body and hardware, electrical and alternator, heating and cooling, oxygen and air, paint and graphics, accident repair, emergency service, lighting, HOPS, intelliplex electrical, Stryker Power-LOAD cot mount and remount. 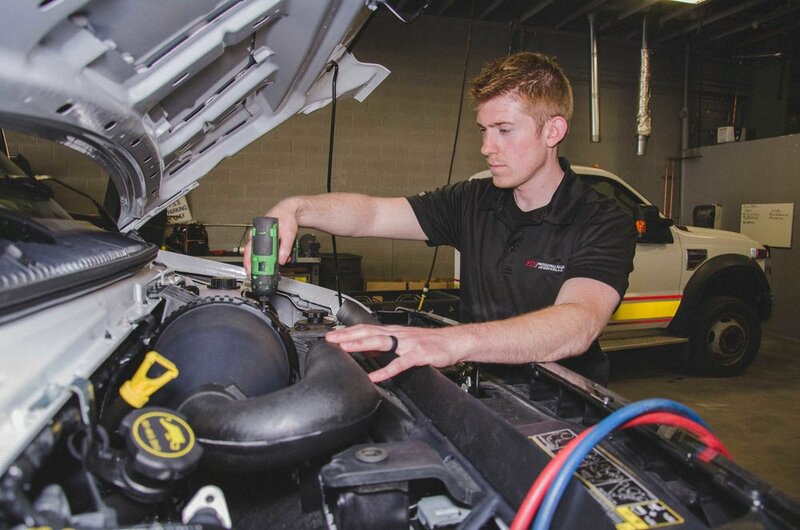 PSS also provides an on-call mobile service unit comprised of two full-time service technicians which are dispatched in all service areas to provide onsite repair and diagnostic services. When you buy a vehicle from PSS, you aren’t just buying an ambulance, you are establishing a relationship with our company that ensures the best service in the industry. You and your ambulance have a job to do. We are here to make sure your equipment is up to the job so you can perform that job to the best of your ability.